King's-Edgehill School | Developmental Hockey Team Earns Gold! Developmental Hockey Team Earns Gold! Our Developmental Hockey Team travelled to Halifax for the Annual Armbrae Hockey Tournament this past week. Made up primarily of Junior School-aged players, the team went 4-0 and emerged with Gold Medals with a 7-5 victory over Sacred Heart of Halifax in the final. Coaches, Mr. Kevin Lakes and Ms. Sue Cole were delighted with the skills, level of play and sportsmanship of all the participants as it was a winning combination. Tyler MacKinnon was awarded tournament All-Star, with Peter MacGregor also receiving special mention. The team was co-ed, and would not have achieved victory without the defensive skills of Maggie Mills and Megan Mattie at the point. Zach Logan anchored the team in goal, making several key saves at key times. His older brother, Jem Logan, also played a key role up-front. Veterans Ben Fleckenstein and Griffin Wheatley were very effective around the net and provided key leadership. German student Aaron Bahr tried hockey for the first time and managed to keep up with the play when called upon. Golden memories were made on the ice! From beginner to elite, your child can join KES hockey players from all parts of Canada, Europe and around the world who share in the love of the sport. 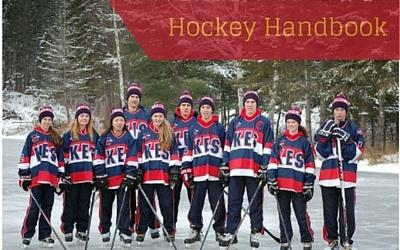 Download the King's-Edgehill School Hockey Handbook to learn more.